The first T20I in Newlands was a low-scoring thriller, with South Africa only just being able to match Sri Lanka's total of 134/7. The match went into the Super Over, where David Miller hit Lasith Malinga for a four and a six to set the visitors a target of 15, before Imran Tahir comfortably defended the score. The batsmen on either side will hope to do a lot better in the next game. Only Sri Lanka's Kamindu Mendis and South Africa's Miller, who also kept wicket for the first time, with success, were able to get past the 40-run mark. Andile Phehlukwayo and Malinga put on an excellent display of T20 bowling, riddling the batsmen with cutters on a slowish surface. Phehlukwayo finished with 3/25, while Malinga conceded just 11 in his four overs, for two wickets. Malinga even bowled a brilliant penultimate over, conceding just one run and taking a wicket off the final ball. It left the hosts with five runs to get in the final over, with just two wickets to spare. Sri Lanka will take a lot of confidence from how the senior paceman and captain delivered. The second and third matches will also be a gauge of South Africa's bench strength, with Faf du Plessis, Kagiso Rabada, Imran Tahir and Quinton de Kock rested. Their stocks have been further depleted, with Lungi Ngidi and Anrich Nortje out of the rest of the series due to injury. The absence of first-choice options offers the likes of Lutho Sipamla, Tabraiz Shamsi, Sinethemba Qeshile and Dwaine Pretorious an opportunity to prove their worth. If they do well, a potential spot in South Africa's squad for the ICC Men's Cricket World Cup 2019 awaits. 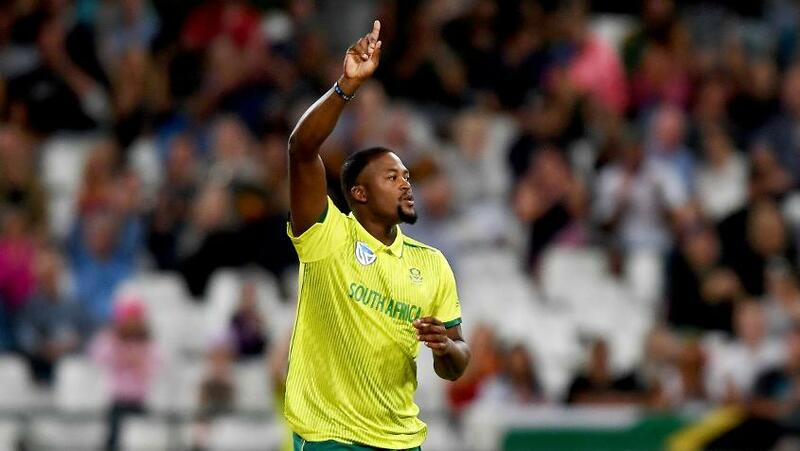 Andile Phehlukwayo (South Africa): The bowling all-rounder's stocks are on the rise in limited-overs cricket as he keeps delivering match-winning performances with the ball and often complements that with useful batting contributions. In the first game, he claimed three wickets for 25 runs to break the back of Sri Lanka's batting. His cleverly-masked slower balls can be difficult to contend with, particularly in the shortest format, as Sri Lanka found out in the first match. Lasith Malinga (Sri Lanka): What he has lost in pace, the Sri Lanka captain has made up for with improved accuracy and smarter variations. He put on a real show in the first T20I, showing that he still has it, after a lukewarm ODI series. The manner in which he kept his nerve in the 19th over of South Africa's chase is testament to the value he brings to the team. The pitch at Centurion has traditionally been good for batting, but if conditions are dry, like they seemed to be in the second ODI, when South Africa won by 113 runs despite scoring just 251, the bowlers can come into play in a big way. There is also the threat of a brief thunderstorm.